Sightsavers has been exploring what it means to make our eye health programmes and projects more inclusive for people with disabilities. 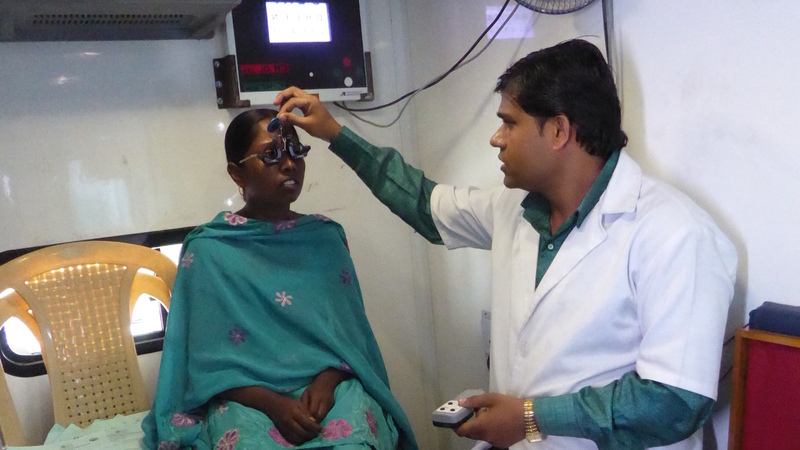 During 2016 and 2017, we trialled different approaches within our urban eye health programme in Bhopal, India. 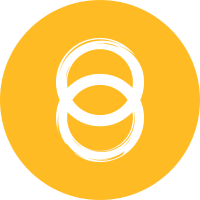 We recently undertook a learning review to capture and consolidate what we’ve learned so far, and provide a basis for our next round of inclusive projects to build on. The pilot project has provided rich and illuminating learning on how to facilitate access to eye health services for more marginalised individuals and communities. It has also shown us the circumstances that are conducive to improving inclusion – and those that aren’t – so we can understand better the process and journey for everyone involved. Increasing awareness, understanding and commitment to inclusion among all partners and at all organisational levels is a necessary foundation to stimulate action. It provides a rationale and sense of purpose for the adjustments needed in order to mainstream inclusion into existing projects. Training and sensitisation to raise awareness and change attitudes on disability inclusion and gender equity are an essential part of making projects more inclusive. It is possible to significantly improve the accessibility of health facilities and premises for people with physical and sensory impairments through non-complex measures and interventions in partner hospitals. But it should not be assumed to always be a straightforward task. Senior-level agreement is needed to commit funds and to sanction the sometimes disruptive work, and creative solutions may be required to get around barriers in existing buildings and infrastructure. The involvement and leadership of people with disabilities, playing key roles in designing and implementing inclusive development (conducting sensitisation training, leading accessibility audits etc), is a highly influential factor in breaking down stereotypes and stigma, and raising awareness of inclusion issues. Building wider stakeholder networks and outreach with like-minded organisations strongly increases capacity for inclusive work by reaching out to marginalised groups. It also opens doors for new constructive partnerships and collaborations with other implementers, widening the scope for inclusive development. In the context of Bhopal, targeted outreach was the lowest cost type of activity as it was an adaptation of existing outreach eye camp practice, and had no detrimental impact on existing project targets for primary-level screening. 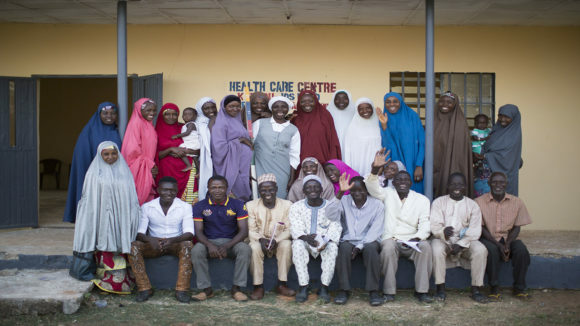 Working with marginalised groups beyond those traditionally targeted for eye health outreach also offers unique learning and development opportunities for eye health staff to develop adaptive, sensitive and creative ways of practising eye screening. 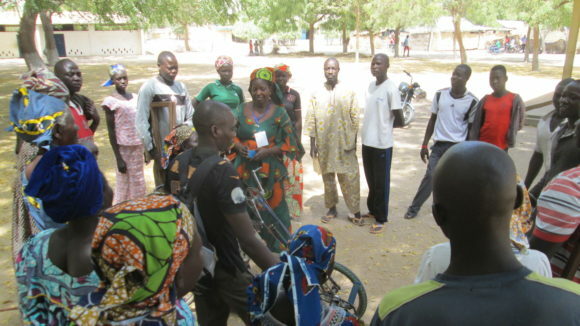 Disability disaggregated data (using the Washington Group Short Set of questions) – both the process of collecting/analysing it, and the data itself – is a key catalyst in generating a shift in attitudes and commitment needed. 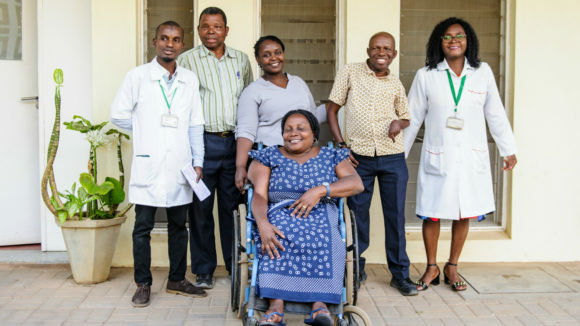 Data on current levels of access by people with disabilities can act as a valuable wake-up call for staff implementing programmes, but also can be used locally in advocacy work to encourage and sensitise other potential stakeholders to support inclusive health programmes. Lastly, we also learnt that an inclusive project requires leadership, time and tenacity, as change doesn’t always come easily. It’s about building momentum and having key committed staff to inspire and support everyone on the journey to greater inclusion for all! Sightsavers has a long history of developing and improving eye health programmes and improving disability rights across the countries where we work. Increasingly we’re looking to bring these distinct areas of work together and ensure all our programmes are accessible to, and inclusive of people with disabilities. Taking time to learn from our work in these areas is a growing priority for us as an organisation. This learning review was an important step in helping us learn from our own experience and enable us to consider what we need to apply and do differently as we extend our reach and develop new inclusive health programmes in different countries, environments and settings. To learn more about Sightsavers’ inclusive eye health programmes, please visit our inclusive eye health webpage. Daisy is Senior Global Impact Advisor at Sightsavers.